Pregabalin is a psychoactive drug indicated in the treatment of epilepsy, neuropathic pain, and generalized anxiety disorders. Pregabalin acts on different neurotransmission systems by inactivating the alpha2-delta subunit of voltage-gated calcium channels. 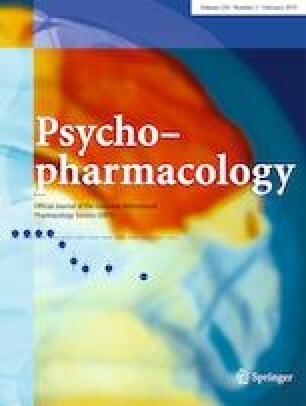 In light of this pharmacological property, the hypothesis has been raised that pregabalin may regulate the mesolimbic dopamine pathway and thereby display a potential for misuse or abuse as recently observed in humans. Although some preclinical data support this possibility, the rewarding properties of gabapentinoid are still a matter for debate. The aim of this work was to evaluate the rewarding properties of pregabalin and to determine its putative mechanism of action in healthy mice. Pregabalin alone (60 mg/kg; s.c.) produced a rewarding effect in the conditioned place preference (CPP) test albeit to a lower extent than cocaine (30 mg/kg; s.c.). 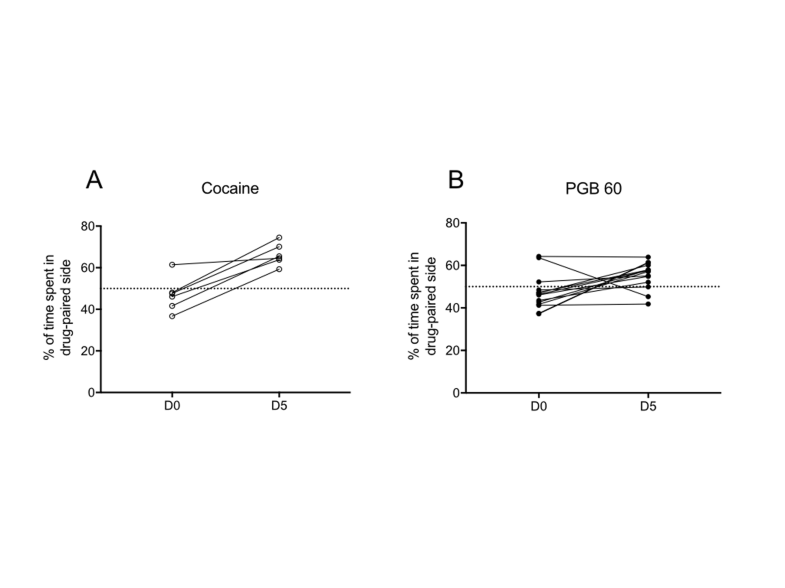 Interestingly, when assessing locomotor activity in the CPP, the PGB60 group, similarly to the cocaine group, showed an increased locomotor activity. In vivo single unit extracellular recording showed that pregabalin had mixed effects on dopamine (DA) neuronal activity in the ventral tegmental area since it decreased the activity of 50% of neurons and increased 28.5% of them. In contrast, cocaine decreased 75% of VTA DA neuronal activity whereas none of the neurons were activated. Intracerebal microdialysis was then conducted in awake freely mice to determine to what extent such electrophysiological parameters influence the extracellular DA concentrations ([DA]ext) in the nucleus accumbens. Although pregabalin failed to modify this parameter, cocaine produced a robust increase (800%) in [DA]ext. Collectively, these electrophysiological and neurochemical experiments suggest that the rewarding properties of pregabalin result from a different mode of action than that observed with cocaine. Further experiments are warranted to determine whether such undesirable effects can be potentiated under pathological conditions such as neuropathic pain, mood disorders, or addiction and to identify the key neurotransmitter system involved. Bruno P. Guiard and Emilie Jouanjus co-directed this study. The online version of this article ( https://doi.org/10.1007/s00213-019-05198-z) contains supplementary material, which is available to authorized users. The authors greatly acknowledge “the Mouse Behavioural Phenotyping Core” (Center of Integrative Biology, Toulouse, France) for its expertise and assistance in setting up behavioral apparatus and procedures. This independent study did not receive resources from pharmaceutical companies and was funded by the academic collaborating laboratories. All experiments were carried out in accordance with the European guidelines for the care of laboratory animals (European Communities Council Directive 86/609/ECC) and approved by the local Ethics Committee and the French Ministry of Education and Research (APAFIS#6659-2016090512114815 v3).